The London derby lived up to its billing with Eagles edging the win by just one goal over the Angels, after leading by two at half time. The previous fixture between these two teams in November had also been close, Eagles taking it by three goals on that occasion. 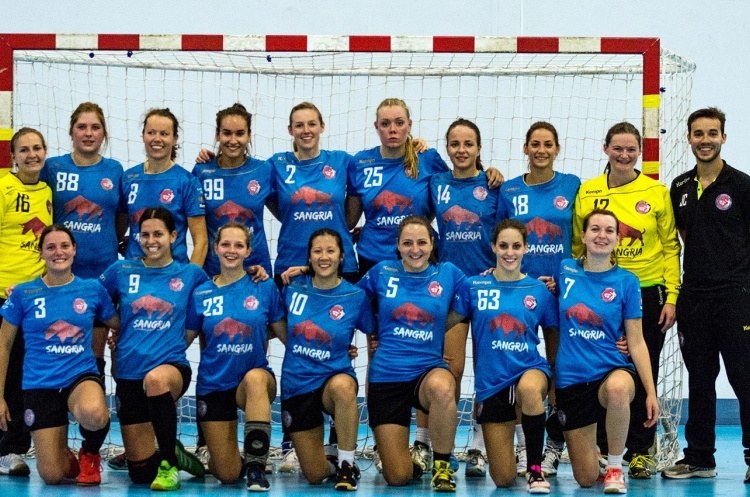 Elsewhere in the Women’s Premier Handball League, NEM Hawks fought to a narrow victory over Olympia, and London GD continued their unbeaten season by taking maximum points away to Coventry. The London showdown in Barking Sporthouse saw the home side take a 12-10 lead into half time, with a strong first half performance from Noelly Chevallier and Katarzyna Witkwoska, with three goals each. In the first half, Angels’ Barbara Csombor led the way for her team with five. After the break, Eagles’ Sunniva Ovstebo Naess scored three goals in quick succession as part of her overall tally of seven. However, Angels' Player of the Match Beata Nagy, netted seven times in total including four at the death as the match went to the wire, Erika Recska scoring the winning goal for the Eagles. The Eagles continue to look dangerous in third place in the table, having only lost once this season, and with one game in hand over leaders London GD and two over second placed NEM Hawks. Both the top teams were in action this weekend, with NEM Hawks taking on Olympia at the Trafford Soccerdome. Hawks led 12-8 at half time, and despite Olympia clawing back some of that deficit in the second half, the northerners ran out 21-19 winners. Holly Lam-Moores top scored for the Hawks with six goals in total; Lydia Edgar and Athalia Ibanga also each scoring five times. For Olympia, Iwona Mashanda led the fightback with four goals in the second half to take her overall tally to six, but it wasn’t quite enough against the home side. This sees Hawks remain in their second place in the table, still three points and an extra game behind London GD. London GD travelled to the Midlands to take on Coventry in a match which saw both teams maintain their starting position in the table. Coventry were unable to inflict a first defeat of the season on GD, despite a strong first half performance that saw the teams turn around with only one goal separating them, to finish nine goals behind in a 24-33 win for the Londoners. Kristin Ivancheva and Marta Podsiodlo both helped Coventry to that good half time position, with five goals apiece in the first half. London fought back in the second half and were able to spread the scoring across the team, with only two players from their squad not getting on the score sheet. Player of the Match for GD was Anna Baikova. London GD march on unbeaten this season, but they were challenged by Coventry in this fixture and both Hawks and Eagles will be hunting them closely as the season progresses. Can they remain at the top?